Paul snapped this picture while down in Cali earlier this week, Burbank to be exact. Can’t imagine this is much of a daily driver, but still, gotta love it! 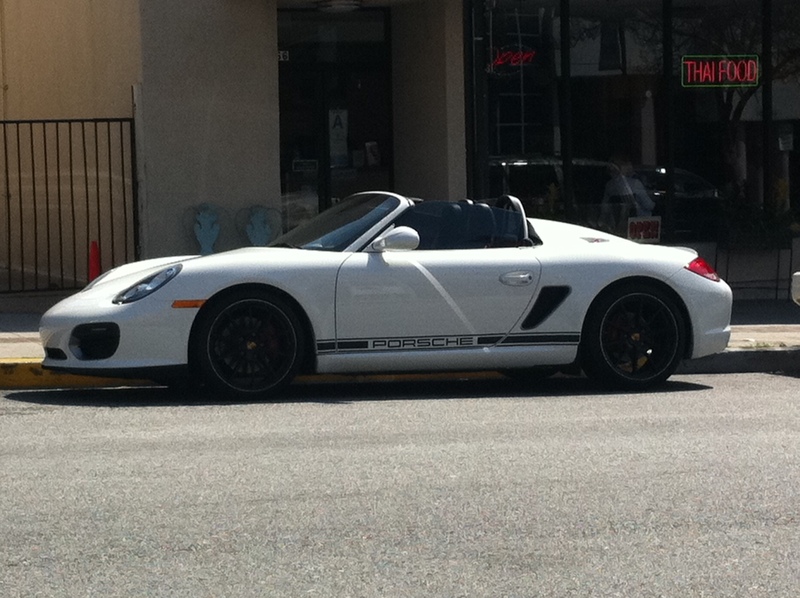 Maybe when the rain lets up, all those Porsche Boxster Spyder owners in Portland will start showing off their cars. I was scared away from used boxster. Not just that engine, but the whole dealer maintenance thing. I work on my clean low mile Miata myself, and its not serious money at all. Miatais more engaging as an overall car experience, since I like to be able to work on the car myself.